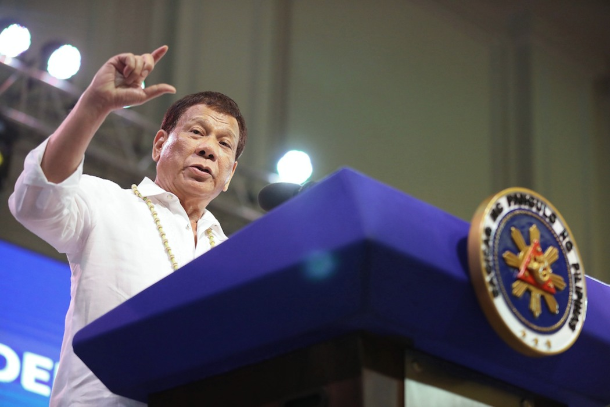 In a meeting between Archbishop Romulo Valles of Davao and President Rodrigo Duterte last month, the head of the Philippine bishops' conference raised concerns over several issues with the president. Earlier, Duterte had called God "stupid" and laughed off some fundamental church teachings, including the concept of original sin. Several political observers said the president miscalculated his tirades against God. The president could attack the country's clergy but should not have attacked God. The country's Catholic bishops maintained that a "pastoral exhortation" they issued following Duterte's rants was not an indictment of the president's administration. It was a call on Catholics to remain steadfast in what the prelates described was the "collective vocation and mission to actively work for peace." The exhortation cited priests being murdered for being witnesses to Christ as well as modern-day prophets as "being silenced by the treacherous bullets of assassins." 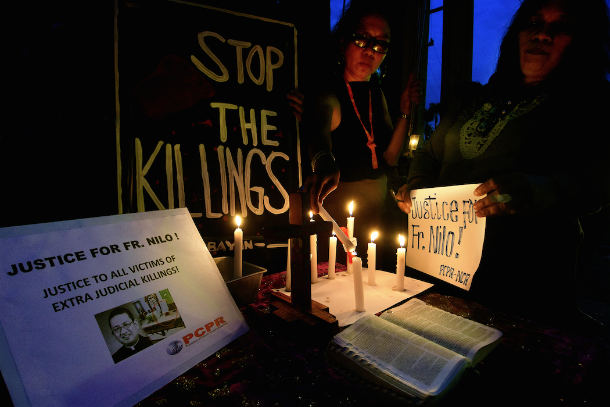 During the two years that Duterte has been president, three Catholic priests have been killed. In their statement, the bishops recognized divisions among members of the flock, especially when some condone the wave of killings and laugh when the president blasphemes. The bishops enumerated the sufferings of the poor even as they reiterated their support for "democratically-elected" officials. The prelates said they look forward to partnering with government on programs that will benefit the people. Bishop Pablo Virgilio David, prelate of Kalookan Diocese where hundreds of suspected drug offenders have been killed, said he wishes the government would be a partner in the pursuit of social justice. He mentioned the plight of Australian missionary nun Patricia Fox who has been ordered deported by the authorities for helping the poor. 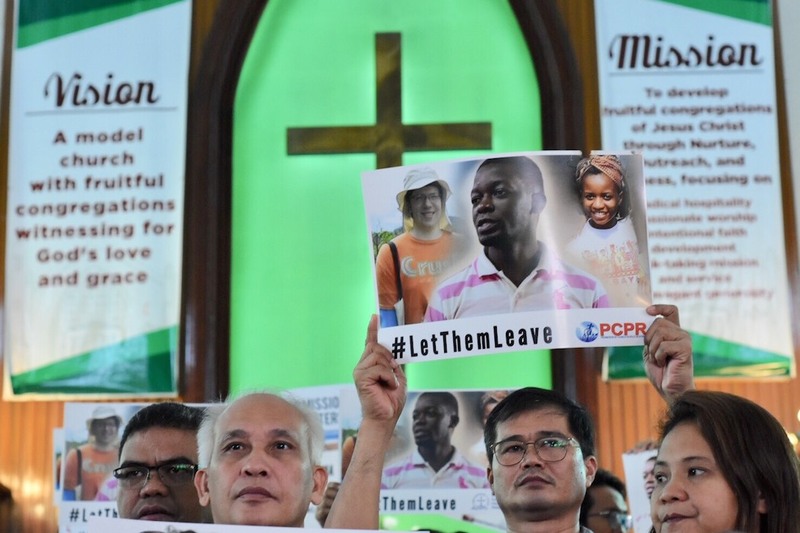 Recently, Protestants raised concerns when three of their missionaries were held by the government for joining a fact-finding mission looking into alleged human rights abuses in the southern Philippines. Rev. 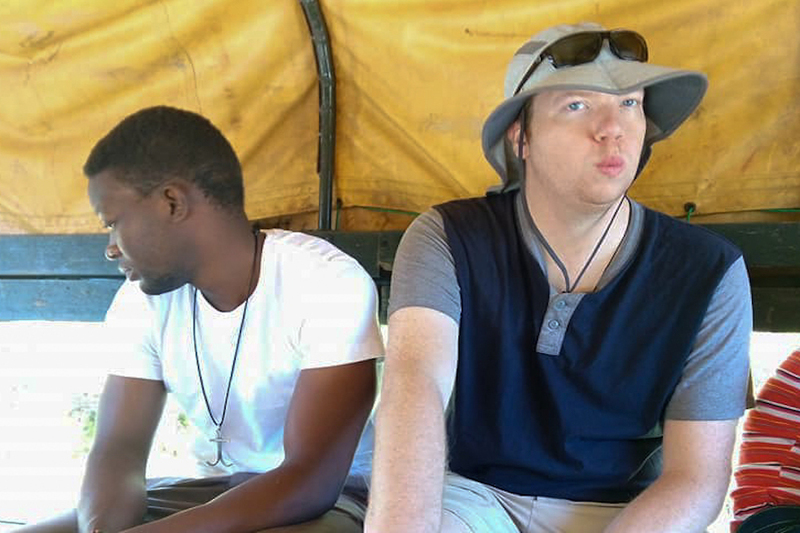 Thomas Kemper, general secretary of the Global Ministries of the Methodists, said that as missionaries they have to spread the Gospel to all men and women. He said there seems to be a "misunderstanding" in the Philippines about what Christianity is and what the Gospel is all about. The Methodist missionaries were eventually allowed to leave the country after being blacklisted by the country's immigration bureau. Social inequality, injustice and abuses of human rights are among issues that Filipino parish priests, missionaries, pastors, and church workers encounter every day. Being on the side of the poor can be misinterpreted as being anti-establishment. It happened during the time of late dictator Ferdinand Marcos. But priests, nuns, and missionaries can always take comfort from what Dom Helder Camara once said: "When I give food to the poor, they call me a saint. When I ask why the poor have no food, they call me a communist." As Pope Francis said recently, he prefers a church that is bruised, hurting and dirty "because it has been out in the streets" rather than a church that is "unhealthy from being confined and from clinging to its security."